Ian Wilson, co-founder of Bridge2Aid and Regional Clinical Director at Dental Partners, discusses the importance of encouraging clinical freedom within corporate dental practices. Historically, my experience of corporate dentistry has not been too good. Returning to the UK after working abroad for some 10 years, I worked as an associate for two different corporates, one large and one small. I found the working environment to be challenging for a number of reasons, not least that the bottom line was about pounds, shillings and pence and certainly not the patients nor the clinicians. There were restrictions on the materials we could use, and no real dialogue or understanding between the workforce and senior management. I felt their values were all wrong and that was a problem. Of course, I can only talk about my own experience, and it certainly wasn’t all negative. There were many positives in corporate dentistry at that time, with large resources to tap into in terms of skills and experience, and some of the management processes put in place were excellent. However, I felt my clinical freedom and creativity was being stifled and I found myself disillusioned with the direction my dentistry was taking. Something had to change, so when the opportunity arose to leave corporate dentistry and work with an independent practitioner, I couldn’t say no. Fast forward to 2018 and I’ve found myself once again working in corporate dentistry as an Associate and Regional Clinical Director – but this is not the corporate dentistry I once knew. The corporate model is radically changing thanks to a new way of thinking and a totally fresh approach from Dental Partners and this change cannot come soon enough. For a practice to be successful it needs to be ‘the best place to work’. This ethos revolves around the dental team and clinicians being empowered, everyone feeling valued and having a voice and a role. My first experience of corporate dentistry was the opposite, a sense of value was missing, there was a lack of understanding between the teams and senior management and it was clearly a case of doing what you were told. I’m no fan of hierarchy – if you’re a business owner I believe you’re there to serve your workforce, not the other way around. Every dental practice has its own unique culture and, in my opinion, if a brand is emblazoned across the front of a practice there is a responsibility to visit your team on a continuous basis to make sure they’re happy, being properly resourced and feeling supported and valued. And that’s exactly what we strive to do at Dental Partners. Teams within our individual practices understand the culture, the demographic and have a unique position in their local community. How can a remote head office dictate the vision of a practice when it doesn’t understand the locality? Dental Partners’ approach is that senior management understand that a practice knows its patients best and works to empower practices at a local level to encourage autonomy across a wide variety of areas, and to say to teams “you do what you want to do, and we’ll support you in any way possible”. Clinical freedom is so much more than just having a choice of materials – it’s everything about a practice. Without clinical freedom, creativity, autonomy and the ability for a clinician and the team to become the best they can be is lost. By promoting clinical freedom, a happy workforce, creativity and innovation are encouraged. The people who benefit from this are the patients, the clinicians and ultimately the organisation as a whole. Clinical freedom should not just be a simplistic statement, giving lip-service to an ideal – it’s part of the values of who we are as Dental Partners. We need to recognise that no two dentists or practices are the same, but equally no two patients are the same either and one size does not fit all. Ultimately, everything is about what’s in the best interests of the patient. A happy workforce translates to the patients and if patients are happy they’ll keep coming back. Corporate dentistry shouldn’t be about dictating how to do dentistry or simply hitting targets, and this is why Dental Partners strives to offer a stable support network for dental professionals looking for career development and a new challenge. Now is both a challenging and exciting time to be involved in dentistry. As a colleague once said to me, “No one will remember you for what you said. Equally no one will remember you for what you did. What people will remember is how you made them feel.” If clinical teams feel valued and have a sense of belonging, what a great workforce that is and what great care their patients are going to get. This is the start of a new movement by people who see things differently and are prepared to do things differently. 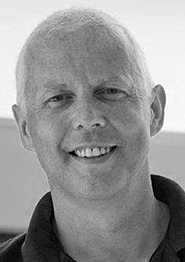 Ian Wilson qualified from Edinburgh University in 1987 and went straight into general practice. His career includes several clinical and leadership roles both in the UK and volunteering into developing nations especially Africa. Ian co-founded the charity Bridge2Aid with his wife Andie, moving out to Tanzania in 2002 pioneering Hope Dental Centre, Dental Volunteer training and community development projects. Returning to the UK in 2011 he works at Hunslet Dental Practice and is a Training Programme Director within HEE Yorkshire & Humber.